While folks up north continue to endure the misery of melting snow and masses of layers for warmth, those of us down south are eagerly welcoming the arrival of spring. A reliably scenic entrance to this seasonal shift is the blossoming of our many local Japanese magnolia trees. This tree is one of the earlier flowering trees to bloom, and can often pop as early as late winter. Be sure to appreciate its beautiful buds once they blossom, as you'll have to wait yet another full year before its next impressive floral display. 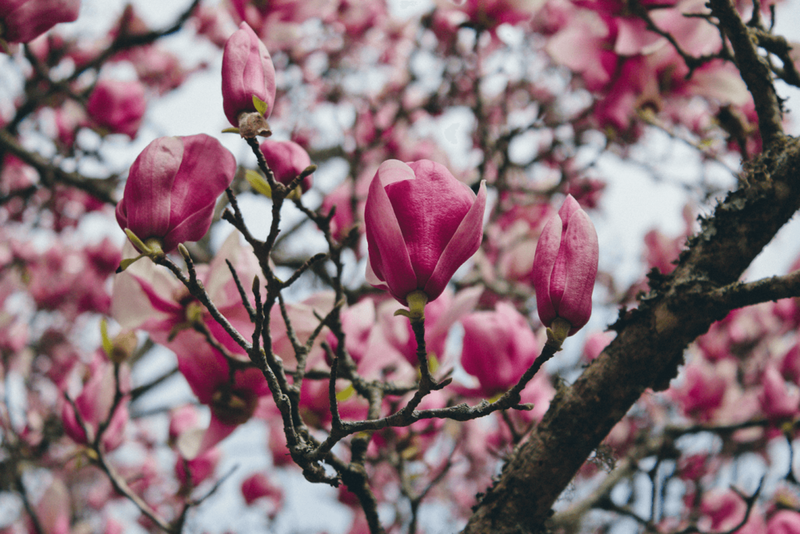 The Japanese magnolia tree is a deciduous hybrid magnolia known officially as Magnolia x soulangianana, and is also often referred to as saucer magnolias, tulip magnolias, or Soulangianana magnolias. This broad shrub or small tree is the most commonly grown deciduous magnolia and may rise over time to a tall 30 feet. 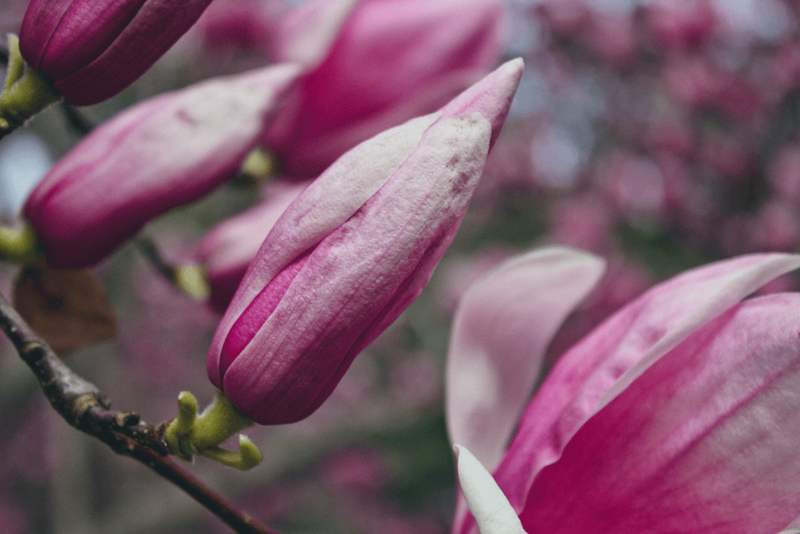 Quite possibly its most charming trait, the Japanese magnolia provides us its beautiful blossoms before the foliage, allowing for its flowers to truly pop among bare tree branches. A prolific bloomer, these large and lightly fragranced flowers span light pink to deep rose and can grow up to 12 inches across, while the petals often point upwards forming a torch or goblet like shape. Before blooming, the flowers’ sizable buds stand out with their fuzzy texture. Then after its flowering thick, dark green leaves appear. Both parents of this magnolia hybrid are native to Japan. But fun fact, the hybrid was conceived by French plantsman Étienne Soulange-Bodin, who so happened to be a retired calvary officer in Napoleon’s army. 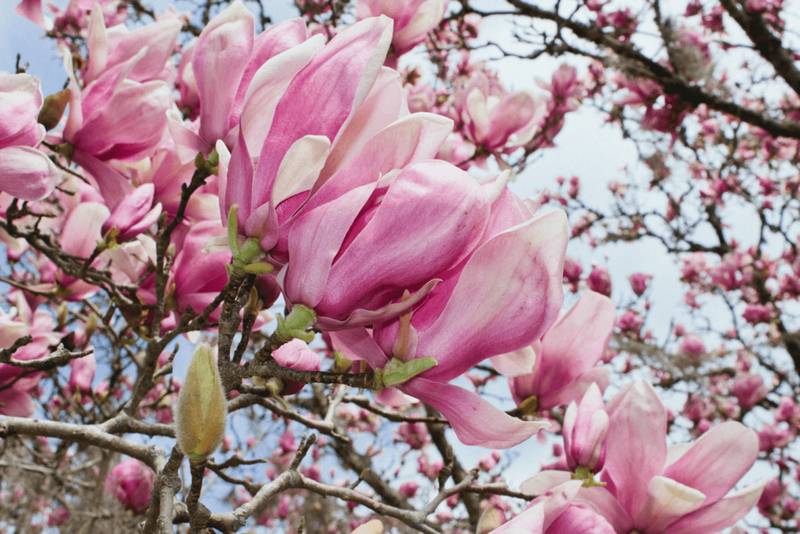 Today plant breeders continue to develop the magnolia into nearly a hundred named horticultural varieties. Yet again our beloved jap mags are possibly the most widely cultivated of these. This tree does not require much pruning and is relatively pest free. It should be planted with fertile, well-drained, and moist soil in a sunny and open space so that its stems may grow over time. It will do well in filtered shade to help prevent early flowering, as a late freeze could burn any early flowers.